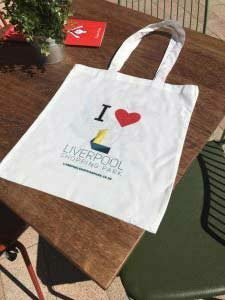 A budding design student will launch a limited edition shopping bag for Liverpool Shopping Park shoppers this weekend. 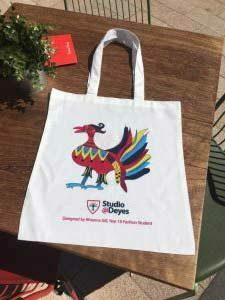 Liverpool Shopping Park has worked with students from Studio@Deyes, a school for 14-19 year olds which specialises in engineering, fashion and business in Wavertree Technology Park, to design a promotional bag for life Rhianna Gill designed the winning entry of an intricate hand-drawn illustration of the city’s much-loved and iconic Liver bird. 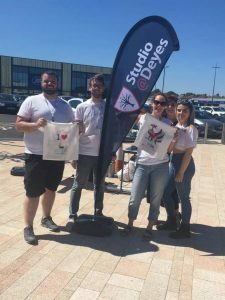 The entries were judged by Liverpool Shopping Park centre manager Karen Wild and local artist Paul Curtis, who painted the shopping park’s city skyline mural. As well as seeing her design in the hands of shoppers, Rhianna will also receive £50 of shopping vouchers for Liverpool Shopping Park. Rhianna’s winning design will now feature on 500 shopping bags for life, which will be handed out on Saturday 30th June outside Liverpool Shopping Park’s Frankie & Benny’s from 11am to 4pm. Students will also host printing demonstrations and fashion shows and will be on hand to talk about life at the school and its courses, along with teachers.